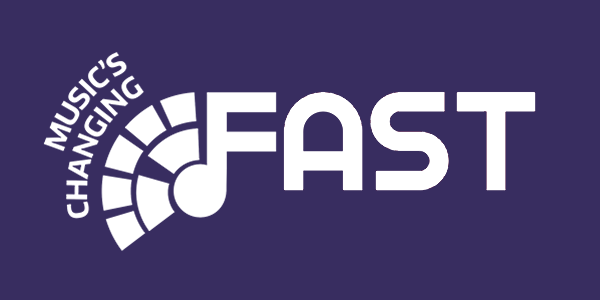 Adaptive audio for mobile experiences, where music tracks and playlists of music tracks can be deconstructed and re-arranged in response to other contextual data, in this instance geo-location data. Many people listen to music on the move during their everyday activities, such as travelling to work. Mobile Music explores ways in which playlists of music can synchronise with the features of a location, so that the music heard better reflects the twists and turns of that journey. Typically, GPS positioning is used to track users movements. For example, music tracks could start and stop as someone turns from one street into another, or a song’s duration is automatically stretched or shortened so that an uplifting chorus begins just when they arrive at a notable landmark. 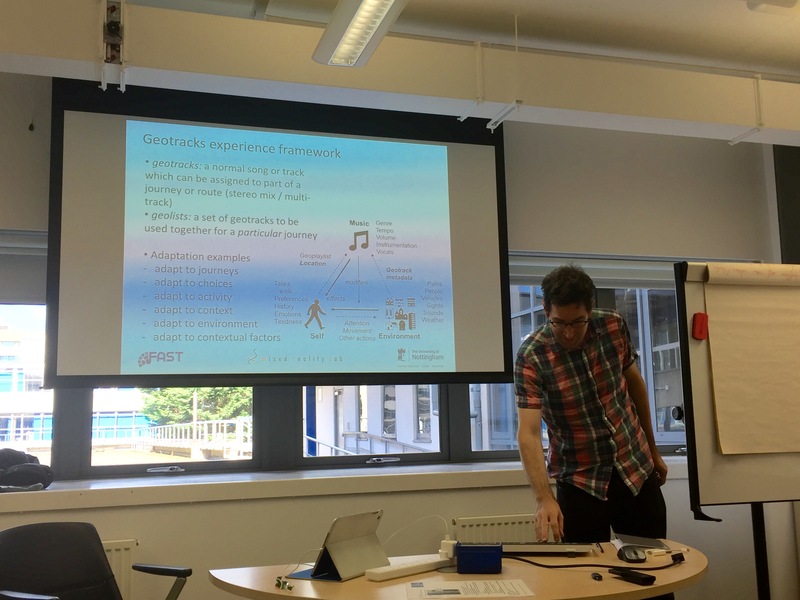 This demonstrator has developed geotracks and geolists, music tracks and playlists of existing music that are aligned and adapted to specific journeys. It considers how everyday walking journeys and existing popular music tracks can each be analysed, decomposed and then brought together, using musical adaptations such as skipping and repeating parts of tracks, dynamically remixing tracks and cross-fades. An evaluation of a user study revealed strengths and weaknesses to be tackled by future work. We consider the Geotracks work as an early example of a digital musical object (DMO): this DMO contains a combination of digital audio files, which may include multi-track stems alongside location data (waypoints) used to create playback control metadata in the form of scripts. Hazzard A., Benford S., Chamberlain A. and Greenhalgh C. (2015) Considering Musical Structure in Location-Based Experiences. New Interfaces for Musical Expression (NIME 2015), Louisiana, USA. Chamberlain, A., Hazzard, A.,“Sonifying the Scene: Re-framing and Manipulating Meaning Through Audio Augmentation”, DMRN+10: Digital Music Research Network, London, UK, 2015. Hazzard, A., Benford, S., Chamberlain, A., Greenhalgh, C., Kwon, H. “Musical Intersections across the Digital and Physical”, DMRN+9: Digital Music Research Network, London, UK, 2014.